In 2012, 3,328 people were killed, and an estimated 421,000 were injured, in motor vehicle crashes involving a distracted driver. As troubling as the numbers are now, the problem is only going to get worse, according to distracted driving researcher Paul Atchley. 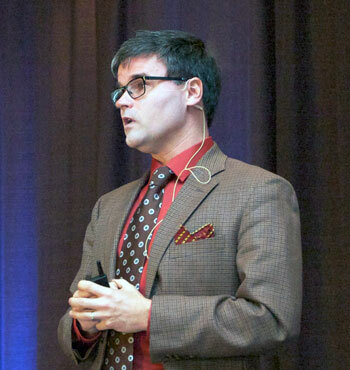 That’s because we put a high value on social information, and technology is expanding the types of non-driving, socially rewarding tasks we can do in our vehicles, he told attendees at the 2014 Toward Zero Deaths (TZD) conference. Atchley is a professor in the Department of Psychology at the University of Kansas and director of its cognitive psychology department. 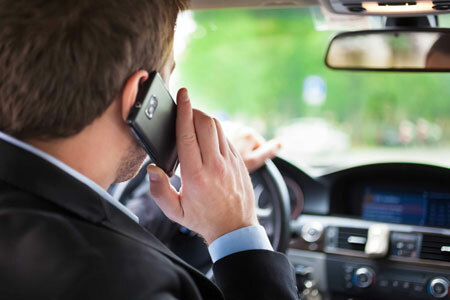 According to Atchley, overwhelming evidence has shown that visual and cognitive distractions pose serious safety risks to drivers, yet industry and government regulations have only focused on manual and visual issues when it comes to distracted driving. “It’s not about your eyes, it’s about your brain,” he said. Consequently, simply telling people to put their phones down when driving is not a realistic proposition, he said. And because driving is a complex task for which you’re using a lot of your brain’s prefrontal cortex, you have no willpower left over to stop you from picking up your phone. “The only really safe way to use a phone in a car is to not have a phone in the car with you, or to have it in a place you can’t access,” Atchley said. The Minnesota TZD conference provides a forum to share information on best practices in the areas of engineering, enforcement, education, and emergency medial and trauma services, and to identify new approaches for reducing the number of fatalities and life-changing injuries on Minnesota roads. The conference is offered by the Minnesota TZD Program and the Minnesota Departments of Public Safety, Transportation, and Health, with funding from the National Highway Traffic Safety Administration, and hosted by CTS.